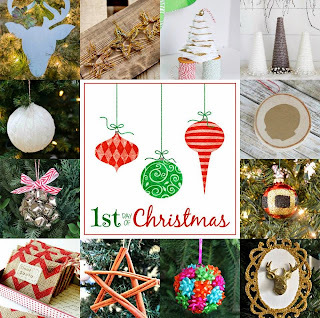 Over the next twelve days, I'll be sharing twelve different gold and white themed, DIY Christmas ornaments. 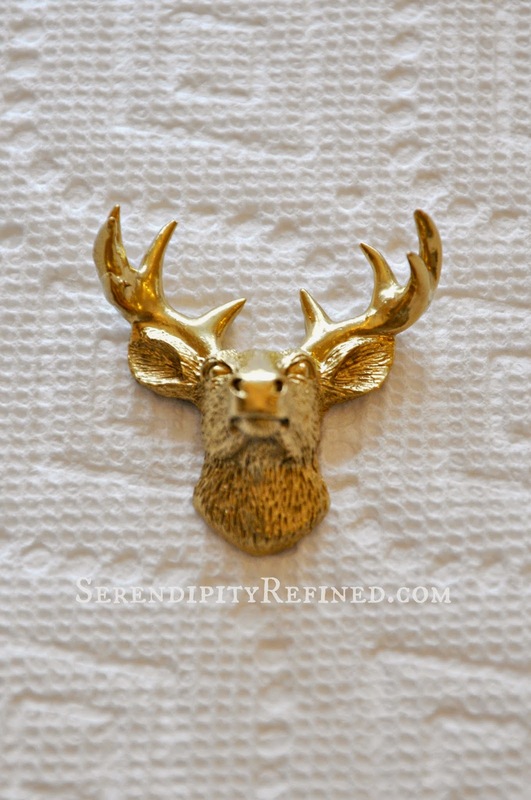 Some of them, like this gold mounted reindeer head ornament will be super simple. Thanks to Michaels! Some of the products that I used to make the ornaments for this series were purchased with a gift card which I received from Michaels. All choices regarding sources and products used in these posts are my own. 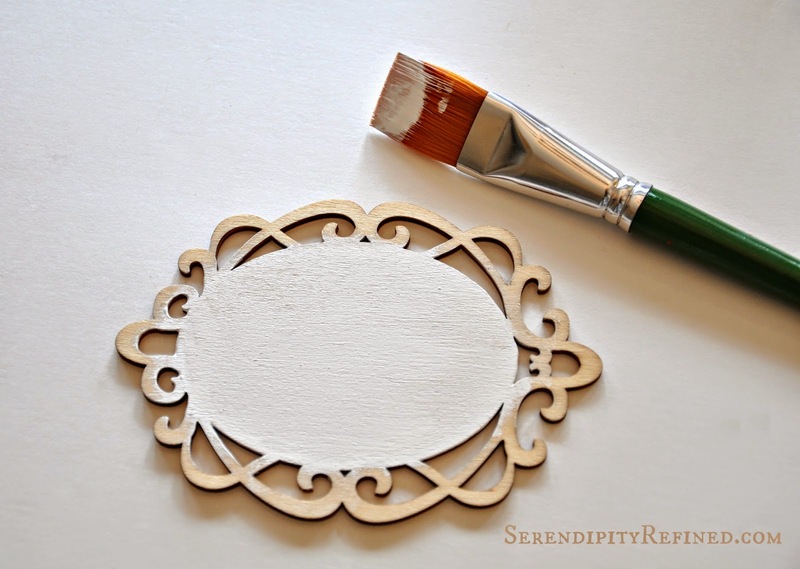 Using craft paint, paint the oval center of the ornament white. I did two coats. Set aside to dry. While the paint is drying, spray the deer head with metallic gold spray paint. (I used Krylon). 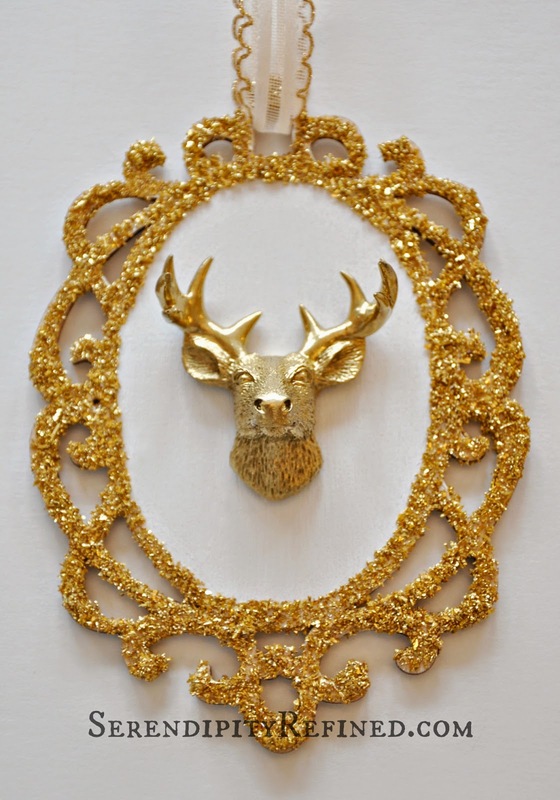 You could also choose to brush the deer head with glue and cover it with fine gold glitter instead. While the deer head is drying, brush a layer of white glue onto the decorative edge of the wood back and cover with glitter. I used German glass glitter for this project but any gold glitter would work. I worked in sections since the glue tends to dry out quickly and glass glitter is heavier and slightly more difficult to work with. 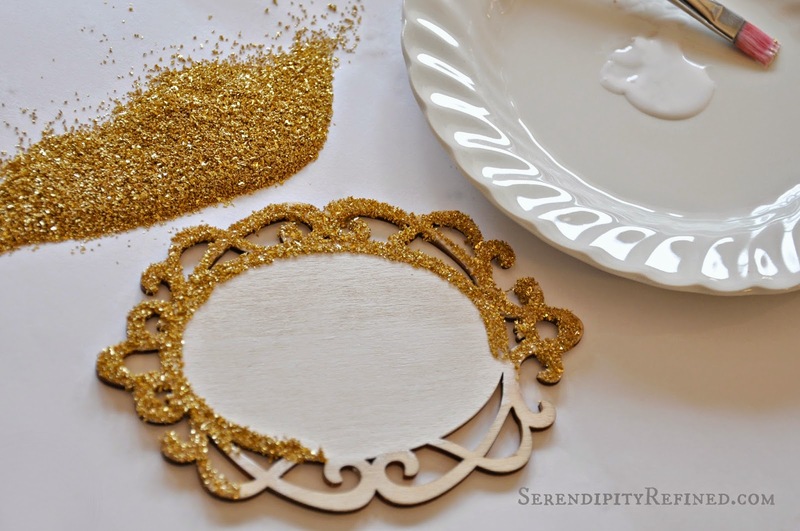 Allow the glitter to dry for twenty minutes. Hot glue the deer head into the center of the ornament. I decided that it would also be cute to use a gold marker to write "2014" or a name beneath the head. Finish with a six to eight inch loop of gold and white ribbon or gold cord. See?! 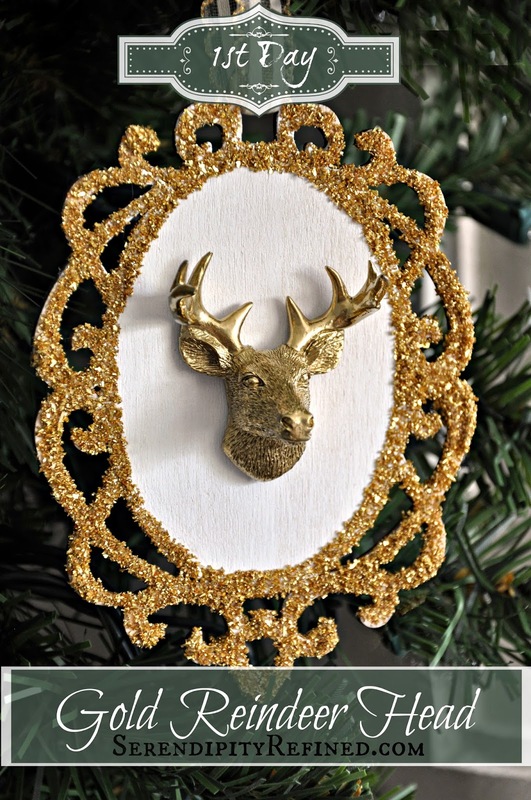 I told you that it was super easy to make this gold mounted reindeer head ornament. Stop by tomorrow for an easy gold wreath ornament and make sure to visit the other eleven bloggers to see what they're making today by clicking the links below! 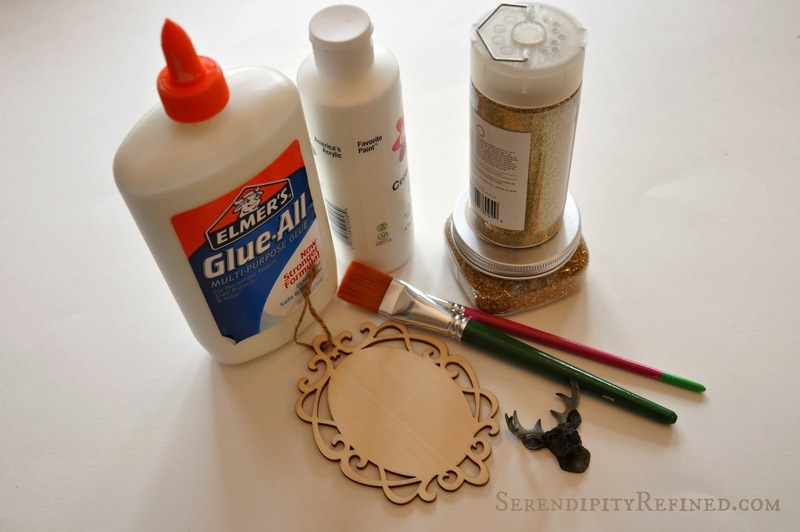 Gold Silhouette Ornament by Lovely Etc.